When someone tells me what I “should” be doing, my inner two-year-old kicks in and I become a resistance machine. It seems the more I hear about something being good for me, the less I want to do it. The last time I strung together any significant consecutive days of meditation was during February 2012. I did Sharon Salzberg’s 28-day meditation challenge, based on her book, Real Happiness: The Power of Meditation. I really like Sharon’s style. I’m talking like I know her, but when you listen to her guided meditations and watch her giving talks on YouTube as much as I have, you feel like you know her. She’s so low key and down-to-earth, there’s nothing to resist. I do so well with structure (which seems strange, given that I just said I’m a resistance machine). The 28-day challenge, complete with bloggers writing daily about their experiences and Twitter chats with Sharon was perfect for me. But then it was over. Since then, I’ve meditated off and on, but something always gets in the way of making it a daily practice. 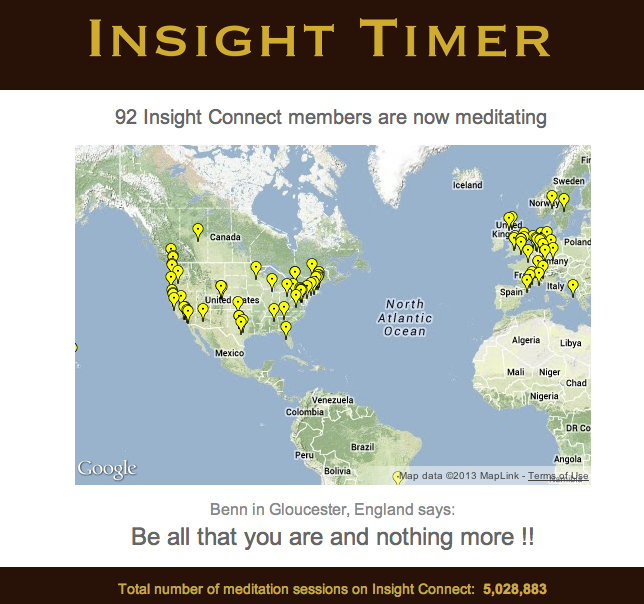 I recently read about this free Insight Timer app that has a new guided meditation section. So I downloaded the app and am checking it out. There’s a section where you can have friends (purely optional), see who is meditating round the world (cool feature), and you can even earn stars at various milestones. 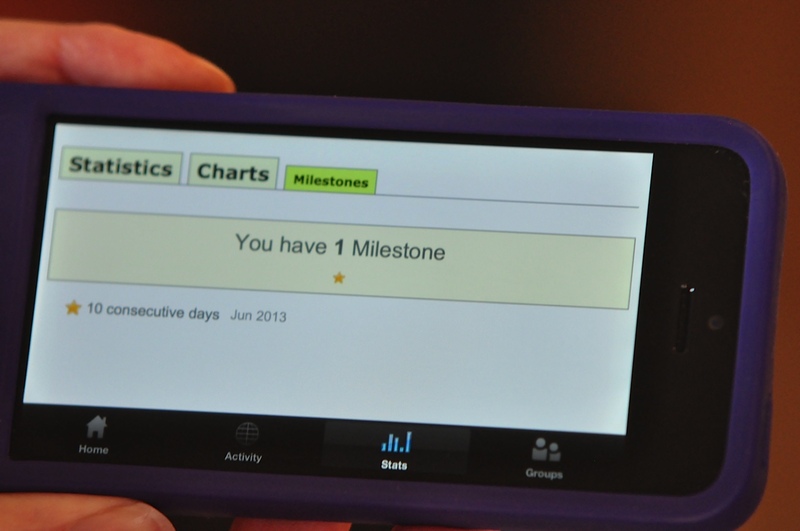 The first star you can earn is for meditating for 10 consecutive days. So guess what? I just earned my first star! I had my husband take a picture of it on my phone today, and he said, “That’s it? That little thing. I can barely see it.” Yes, I was working really hard for this tiny star. I guess little things really do mean a lot. 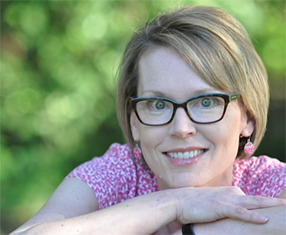 Tara Brach, author of Radical Acceptance and True Refuge is another of my favorite teachers. 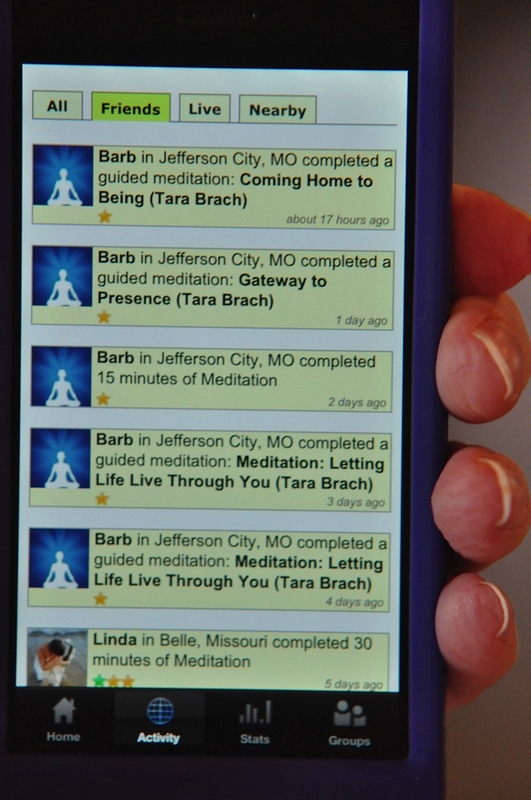 She has 5 guided meditations on the app. They’re of varying lengths and types, and I found them all “accessible” to the novice. I would think experienced meditators would like them, as well. I find her voice soothing and hypnotic. Her most popular meditation on Insight Timer is a 15 minute, basic Vipassana meditation. The description reads: “This meditation cultivates a non-judgmental, lucid present-centered attention and gives rise to our natural wisdom and compassion.” Her other meditations include: Loving This Life, Gateway to Presence, Coming Home to Being and Letting Life Live Through You. I’m not sure which meditation it’s in, but the line that has stuck with me is her invitation to be aware of the “dance of sensation” flowing through you. Dance of Sensation. Love that! This shows my age, but I’m remembering how host Casey Kasem always ended his popular show, American Top 40. He would say: I’m keeping my feet on the ground, but reaching for the stars. Maybe right now it’s the stars and the novelty of the app that are motivating me. That’s okay. I have a gut feeling that before too long I’ll find meditation a reward in and of itself. If you liked this post, be sure and join me on Facebook! I’d do ten days for a star, too. Wish the app were available for Windows phones! Maybe they’ll get to that soon! Thanks for stopping by! Thank you Barbara. I’ve listened to hours and hours of Sharon’s and Tara’s dharma talks and read their books too. I’ve been playing with different timers but not found one that I really liked. I’ve used lots of tools to try log different aspects of my life including meditation, but none stuck. This timer with the milestones looks simple, The paid version appears to have many of the sound settings that I have been seeking (I want something that sounds like the singing bowl that I own which rings for a long time). I recently started a group who meditate at our respective homes but at a common date/time each week and this app extends that to all app users. Getting some guided meditations added in is a bonus. A year ago I had a strong practice with morning and evening meditation, but my depression interrupted that practice and I am struggling to regain it. I am hopeful that this timer will help. Thanks again for finding it and reviewing it. I love your writing. Thanks so much for your kind comments. I think the guided meditations are currently only on the free version as they work out the kinks.